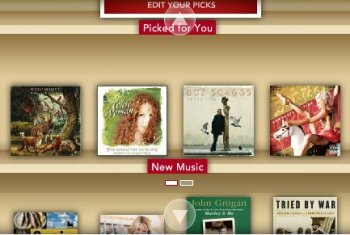 "On Borders.com a 'Magic Shelf' lets shoppers browse images of books and other products along scrolling shelves without leaving the page." "Shoppers who use the Magic Shelf place 62% more orders per shopping session than shoppers who don’t use the Magic Shelf. In addition, users of the Magic Shelf are 13% more likely to purchase online, 9% more likely to return to shop, and 11% more likely to recommend Borders.com to other shoppers." Im Gegensatz zum Amazon Windowshop können Borders-Kunden übrigens Artikel direkt in der Rich-Media-Umgebung ordern. Detailinformationen gibt es aber weiter auf statischen Shop-Seiten.